The Lake Almanor Basin is a great choice for a week-end get-a-way or longer from the Bay Area. Chester and Lake Almanor are still hidden gems that few know about in Northern California. Once discovered many come back to visit or buy second homes. To reach Chester or Lake Almanor it is an easy drive from the Bay Area. If you are tired of Lake Tahoe consider planning a visit to the Lake Almanor Basin. Chester/Lake Almanor can be reached from I-5 going through either Chico or Red Bluff. If you have a little more time take Hwy. 70 up the Feather River Canyon to the south end of Lake Almanor and into Chester. Once you are out of the Bay Area very seldom will you encounter traffic jams, which are frequent on I-80 or 50 to Tahoe. ​Or, simply fly! Rogers Field is a public airport located two miles southwest of Chester. The airport's main runway is 5000 feet long with AWOS, Avgas and jet fuel available. If you have a trip planned further north, the Lake Almanor Basin is an easy overnight stop to break-up the drive. Once you have visited you will want to return again. Each season has something different to offer in terms of outdoor recreation. Lake Almanor is the largest lake in Plumas County with 52 miles of shoreline, two public boat launches, three full service marinas with boat rentals and gas. The summer temperature of the water makes it ideal for swimming, wake boarding, kayaking and wave runners. Lake Almanor is a spectacular fishery hidden in the mountains of Plumas County where 5# browns, rainbows, salmon and small mouth can be caught year round. Tom Stienstra SF Chronicle Outdoor Columnist and author listed Lake Almanor as one of California's top ten lakes. In June and July, fly fishermen flock to Almanor to enjoy the world famous Hexagina (HEX) Hatch, when conditions are ripe thousands of HEX larvae slowly work their way to the surface and hatch as the sun is setting behind the majesty of Lassen Peak. You can witness fish and birds of all species feasting on these tender morsels. Almanor's HEX hatch is a phenomena that fly fishermen plan vacations around each year and a sight to behold from your boat float tube or sitting on a lawn chair on the shore with a glass of wine. If you are a novice or want to learn the lake you can visit the Almanor Fishing Associations website to find a licensed guide who will provide you with all the equipment and expertise you need to land that trophy fish. More information on fishing can also be found on Lake Almanor Area Fishing page. Chester, Mill Creek and Lake Almanor are all great Gateway Communities to stay in when visiting Lassen Volcanic National Park. Staying in one of our Gateway Communities keeps you in the mountains, gives you the best access to three of the four entrances into Lassen Park. By choosing one of our Gateway Communities in the Basin you have access to plenty of dining, shopping and lodging choices. Lassen Volcanic National Park is the southernmost volcano in the Cascade Range with 106,372 acres within park boundaries. The park is special in many ways; the highest paved road in the cascades, only U.S. National Park with all four types of volcanoes and over 150 miles of hiking trails from very easy to challenging. It is still one of the lesser visited National Parks, you will really be able to enjoy your hikes and the drive through the park without the crowds you find at Yosemite. We hear it often from guests that they are so glad they found Lassen Park and that they enjoy it over Yosemite. Lassen Park has 8 developed campgrounds within the park and many spots in the wilderness available with a wilderness camping permit. Back country campers must now have bear proof canisters when camping in the wilderness areas. The Kohm-Ya-mah-nee Visitor Center is open year-round and features an exhibit hall, indoor theater, outdoor amphitheater, bookstore, gift shop and café. The visitor center is a good place to check-in with the rangers and get current trail conditions year-round, watch a great 20-minute video of Lassen Park. When traveling with kids the visitor center is a great place to stop in at and let the kids experience the Augmented Reality Sandbox, which teaches concepts related to topography and watershed, pick up a Jr. Ranger book, reach higher trail challenge brochure and find out about special Ranger led- programs available. The Lassen National Forest lies at the heart of one of the most fascinating areas of California, called the Crossroads where the granite of the Sierra Nevada, the lava of the Cascades and the Modoc Plateau, and the sagebrush of the Great Basin meet and blend. Lassen National Forest covers 1,875 square miles and takes in 7 Northern California Counties. Information on special places within the Lassen Forest. 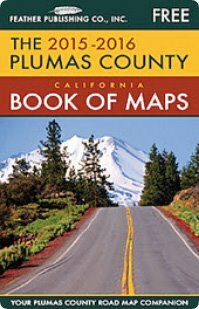 Within Plumas County lies the Caribou Wilderness area with over 300 campsites and a wide array of recreational opportunities, fishing, hunting, camping, hiking, mountain biking, boating, geo-caching, cave exploring, cross-county skiing and just plain exploring and relaxing. And, with over 1.2 million acres of forest to play in, don't forget to bring your OHV, 4-wheel drive vehicles or horses and explore.